Critics as well as supporters of President Trump agree that the most important consequence of his administration and the Republican Senate to date has been the change in the federal judiciary by the appointment of a record number of 39 judges to lifetime posts on the Supreme Court and the federal courts of appeals. Trump-appointed Justice Neil Gorsuch was the deciding vote in more than a dozen decisions which, among other damage, upheld the Trump Muslim ban; approved Ohio’s purge of more than a million voters and reversed a decades-old precedent that protected workers’ rights. Justices Brett Kavanaugh and Neil Gorsuch cast deciding votes that approved indefinite detention of some legal immigrants, put into place the Trump military transgender plan, and authorized the immediate execution of a prisoner before a lower court could even consider his religious discrimination claim. All four Trump judges then on the 6th Circuit – Judges Thapar, Bush, Larsen, and Nalbandian – voted to reverse a prior ruling and uphold Ohio’s law barring funding to Planned Parenthood for health care because it provides abortions with non-state funds. 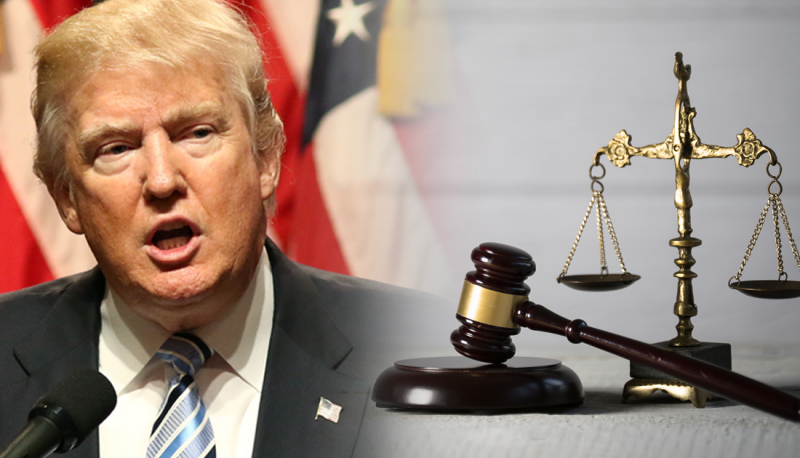 The four Trump judges on the 7th Circuit – Judges Barrett, Brennan, Scudder, and St. Eve – cast deciding votes to rule that older workers cannot claim that an employer’s hiring practices have a discriminatory impact on them, despite federal law. Trump 5th Circuit judges Willett, Ho, Engelhardt, and Oldham voted to allow a devastating Louisiana anti-choice law to take effect, a decision that was temporarily reversed by a 5-4 Supreme Court vote in which Gorsuch and Kavanaugh dissented. In fact, in cases where they did not have enough votes to form a majority, Trump justices and appeals court judges made clear in dissents that with more support, they would do even further harm to Americans’ rights concerning voting, religious liberty, privacy, LGBTQ rights, money in politics, gun safety and more. Such support may well come from more Trump appointments. With the 2020 elections 18 months away, it is crucial that Democratic and independent voters take action on federal judicial nominations. This includes holding Republican senators accountable for their votes to confirm Trump nominees, as well as urging senators to reject more Trump appointments and voting for presidential and senatorial candidates who will support the appointment of fair-minded constitutionalists to lifetime federal judicial appointments.